- How many can you tick off? Think your best mate has what it takes to be a brilliant bridesmaid? Not everyone is cut out to be a bridesmaid, and sometimes the least obvious candidate will do the best job. Before signing up everyone who is expecting to be asked, consider this checklist of desirable traits for your supporting cast. 1. She's available . . .
You can't expect any of your bridesmaids to put their lives on hold to facilitate your wedding planning, but it's realistic to expect them to be available for key tasks, such as dress shopping and fittings, hen party duties and maybe venue viewings. If she says she'll be there she needs to be the kind of person who will show-up, and on time. Be sure to find someone who's in a good place emotionally: a mate going through a break-up or personal problems may struggle to show the enthusiasm you are hoping for. 2. She's a good listener . . . There's days this wedding planning will have you super excited and you'll want to share your giddiness. Other days you'll be stressed to the nines, and need a shoulder to lean on and an ear to rant in. Then there'll be days when you simply need a second opinion from someone, other than the groom. Your bridesmaid should be there to listen, whether you want to celebrate, sound-off or hit her up for some sage advice. 3. She gets on well with your fiance . . . There's nothing nicer than a wedding where the best man is also close pals with the bride. The same goes for the bridesmaid's relationship with the groom. By choosing a friend who knows you both really well you're getting a helper who can second-guess his opinions on everything from your dress to your hair and make-up. She'll also be able to make a great speech - should you need her to - that references your relationship, as she'll have real understanding of your special dynamic. 4. She's self-sufficient . . . Your bridesmaid should be there to help you out, not the other way around. Choose someone who's self-sufficient and confident enough in herself to make decisions and suggestions and speak her mind. You don't want a bridesmaid calling to double check every detail and you don't want one who will simply agree with every planning decision you consider. Choose someone confident with a mind you admire and a voice you can trust. A needy bridesmaid will only become a burden, depending on you for validation instead of allowing you to lean on her. 5. She's a team player . . .
A good bridesmaid will be super organised and motivated, but she'll also need to be a team player. There's a difference between being part of the wedding and running the wedding, and she'll need to know it. Find a co-operator - someone who's good in groups (especially if you're having more than one maid), gets on well with people and won't try to upstage the other girls. 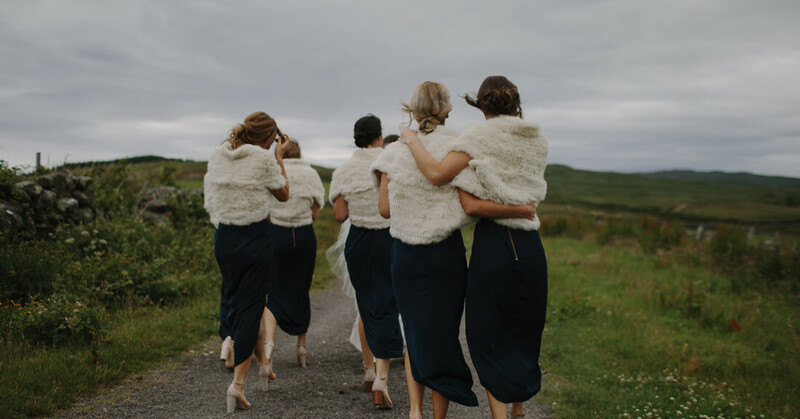 Disagreements between bridesmaids are inevitable, especially when making choices about things like dresses or your hen party, so someone diplomatic who knows how to keep the peace is great asset. 6. She won't let you down . . .
You know that close pal that always overdoes it on the booze and doesn't know when to cop on? In all likeliness, she's not bridesmaid material. 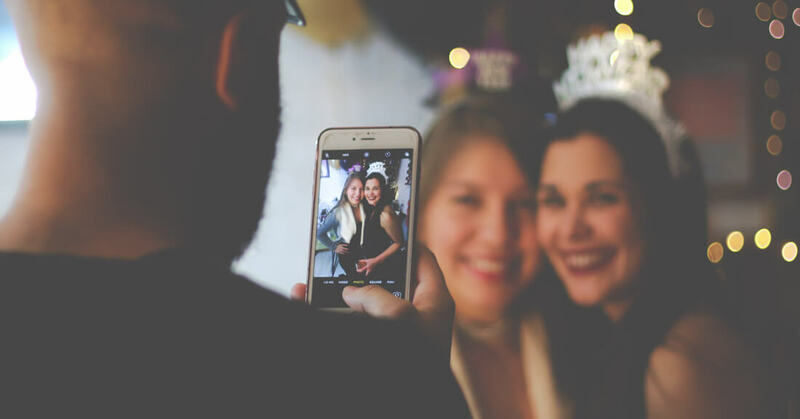 Of course you want someone fun and sociable who will help fill up the dance floor after your first dance but you'll also need to know they'll fulfil other duties, such as being available for the photos, and making an effort to chat with older relatives. Someone who will add a sense of fun while taking their role seriously is the best option. The last thing you want is someone in your wedding party embarrassing you on the big day. 7. She'll plan the perfect hen . . . The ideal bridesmaid will be thoughtful enough to know if you'd hate a certain type of hen and be tuned in enough to know exactly what you'd love. She'll be kind enough to consider if any of your guests will have special needs, whether that's pregnancy or physical limitations, and choose something everyone can enjoy. She'll know if you need two hens - one for the party animals and something special for the mums and aunties - and she'll make the correct call on how much it should all cost. 8. She'll be low-maintenance . . .
No bride wants to have to deal with a demanding bridesmaid. If there's a chance your number one choice is likely to be uncompromising about her dress, argumentative with the other maids or whingey about how time-consuming all the wedding planning is, then give her a wide berth. Wedding planning is stressful enough without inviting someone to the party who'll simply add pressure to the process.